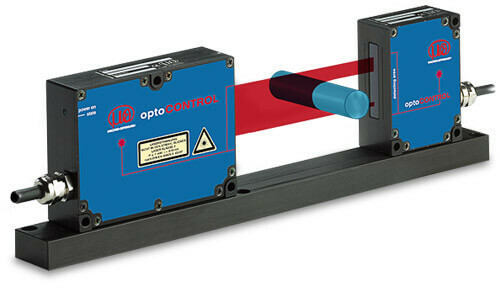 Optical micrometers from the optoCONTROL Series are based on various measuring principles. 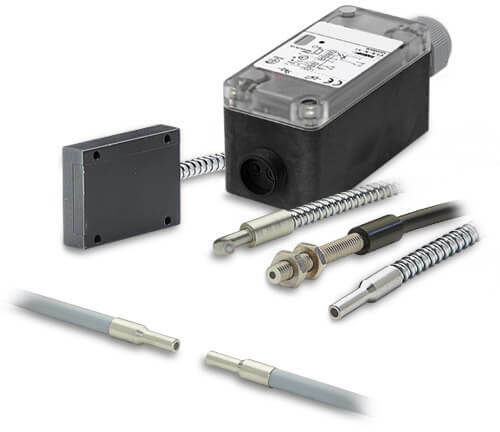 As well as the solid state CCD camera technique using Laser or LED light sources, our extensive range also expands to optoCONTROL CLS-K fibre optic sensors, which are ideal for harsh environments, high temperatures to 600°C, or low cost applications. Fibre optic sensors are simple sensors for determining dimensional quantities such as gaps or edges. The sensors are constructed like conventional light barriers but they are clearly superior. Measurement is made directly on the object using fibre optics. Optical (LED) micrometers and laser micrometers from Micro Epsilon represent the widest range of non-contact micrometers currently available in the marketplace. All sensors have been developed with solid state (no-rotating) optics, so the measurement accuracy does not drift with time. All units are designed with simple interfacing for both OEM and end user integration. Click here to select view individual product specifications.